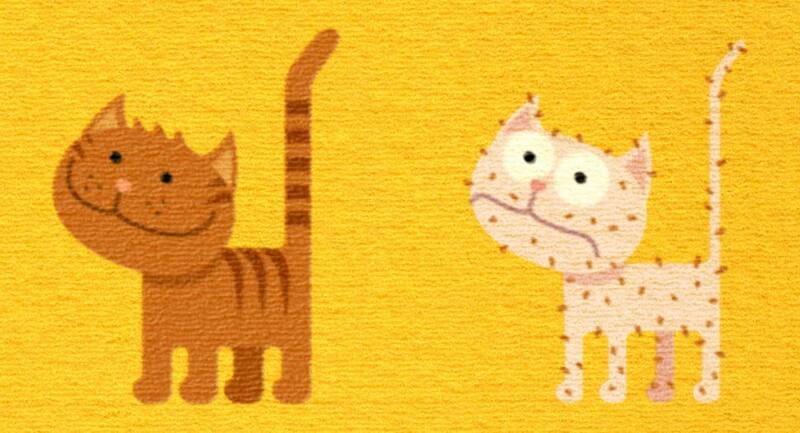 Step 1: First, various cat designs had to be tested. Contest winners were those with a wide mouth line (to accentuate the difference between happy & sad) and a rather geometrical body (to make it look like a carpet pattern and not just a cartoon). Step 2: Different colorings, degrees of detail and facial expressions that would tell the story best were compared. Step 3: The final proportion of the cats in relation to the carpet structure was decided upon. 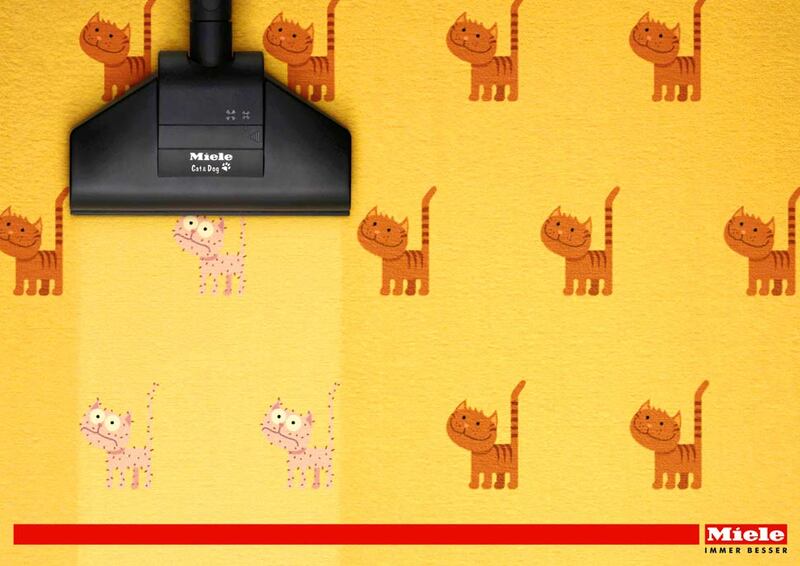 applied to the clean vector cat illustrations in order for them to blend into the carpet fabric.